A Kelowna economics professor has a modest proposal for dealing with the housing affordability issues plaguing the city: start building on the Agricultural Land Reserve. 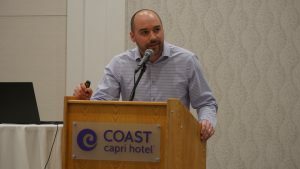 Dr. Ross Hickey, an assistant professor of economics at UBC Okanagan, made the suggestion at an Urban Development Institute luncheon April 26. Speaking to a crowd of hundreds of developers and realtors, Hickey argued developing on the ALR would more effectively control ballooning house prices than the provincial government’s speculation tax. Hickey said the primary problem contributing to extra-pricey homes is a lack of supply: too many people are looking for homes and there aren’t enough of them on the market to fill that demand. 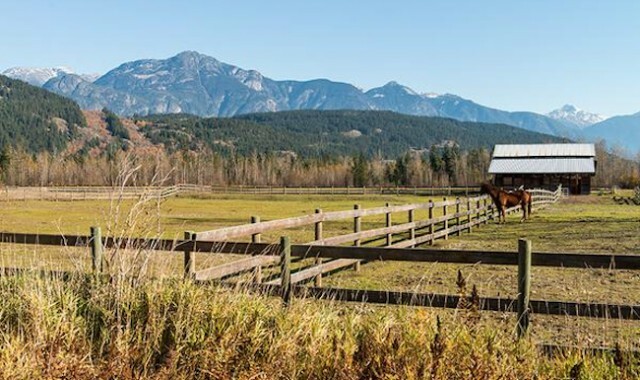 In an attempt to address the problem, the provincial government has levied the speculation tax on people living in specific regions of the province (including Kelowna and West Kelowna) who leave their homes vacant for more than six months a year. Hickey said the plan comes from a “really well-meaning idea” that those people will now rent their homes out to avoid the tax, increasing the supply and driving down the price. He said that, in theory, the tax will accomplish that, but that it could also have counter-productive impacts on other parts of the market. 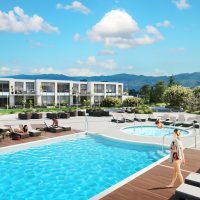 Even though the speculation tax should open up more housing in Kelowna, because the city’s population will grow significantly over the next couple of decades, there will still be a strong demand for the creation of new housing units. 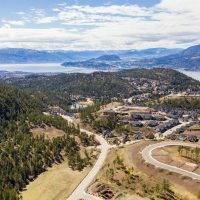 He theorized that, as development slowed in Kelowna the growing demand still wouldn’t be met, and prices would continue to rise. Hickey admitted that “we don’t know what will happen with the speculation tax,” but maintained there are better ways of dealing with housing affordability. “If I was really interested in trying to solve the affordability problem I’m not sure the speculation tax is the first thing I would go to,” he said. Enter the Agricultural Land Reserve. Hickey said the ALR, which exists to protect farmland from development, has effectively meant municipalities have fixed footprints, “constraining” their ability to create new housing. He argued that building on the ALR could do a lot to address that constraint (especially in Kelowna) and that since housing affordability is such a pressing issue anyone looking to combat the problem should prioritize that over other considerations. He called the ALR a “yes-in-my-backyard” phenomenon, saying it gets protected mainly because people living close to it who want it around are better at organizing than disenfranchised people in desperate need of housing. “We’re impoverishing the urban poor further by having the ALR land stay as undeveloped land,” he said. He said the “housing affordability issue” isn’t going to go away just with the speculation tax, and that more policies will be needed to truly address the problem. He said that while his suggestions are controversial ones, they would be effective.